Inbound marketing represents a change in the marketing industry, with 75% of organisations in Europe reporting inbound marketing was their primary strategy. As we can see, almost a third of companies made $250,000 or less. Additionally, 42% of all participating companies had less than ten employees, which shows small businesses need help with their marketing. Why is Inbound Becoming More Popular? Sometimes new trends are a case of The Emperor’s New Clothes. Everyone jumps on the bandwagon (or the surfboard in this case), singing their praises for something that isn’t all that good. But the reason everyone’s riding this wave is because inbound marketing works. And although it can be difficult to get right, the companies with inbound marketing plans find them effective for driving business growth. Your customers like the way that inbound marketing delivers information in bite-size chunks. 80% of business decision makers prefer to receive business information in a series of articles rather than an advertisement. Prospects want you to provide information before they contact you. 47% of buyers view between three and five pieces of content before engaging with a sales rep.
Inbound marketing delivers content that increases traffic to your website. And the more quality content you create, the more hits you’ll get. B2B companies that blog 11 or more times each month have almost triple the traffic than those blogging once or less each month. Content marketing is cost-effective. It costs two-thirds less than traditional marketing and triples the leads. Companies only tend to put their money where their mouth is when something works and, in 2018, 46% have a larger inbound budget than in 2017. Although inbound marketing may have started as a gentle wave, today it’s more like a tidal wave. The definition of inbound marketing can be traced back to 2005 when HubSpot’s co-founder Brian Halligan invented the term. While some waves calm, the inbound tsunami shows no signs of slowing down. If we haven't convinced you that inbound marketing is for you, perhaps thousands of businesses from various industries will. It’s become the primary focus of businesses across industries such as consumer products, financial services, manufacturing, healthcare, IT, media, marketing, non-profit and the public sector. it's worth noting that not all participants were inbound customers, but we can assume that all participants had some connection to HubSpot and an understanding of inbound marketing. Marketing for manufacturers can be difficult, especially when you're working in an industry that could be perceived as 'boring', or you have services and products that are complex by nature. Traditional manufacturing firms use a direct sales approach when selling their products, fostering long-term relationships in the process. For this reason, marketing often ends up being a co-ordination exercise; website updates, tradeshow planning, and the monthly social media update. It's harder to build those relationships with the amount of competition locally and globally. There's a need to stand out from the crowd, much like the inventive manufacturers of the past. This is true whether you work in a niche or a mainstream industry: a niche needs explaining, and a mainstream product needs to set itself apart from the imitators. All the best manufacturers are innovative with technology, understand national and global economics, strive to reduce production costs, and realise that companies aren't tied to one manufacturer anymore; they can switch in a heartbeat. But do manufacturers understand the importance of marketing in that process? You should because it can separate you from the competition. If you release educational content that helps readers to understand your business, your industry and your product, you can complete a significant part of the buyer's journey before sales involvement. Read the article below to find out more. What's a recruiter's worst nightmare? Not finding the right talent to fill a job post. What's an even worse nightmare for a recruiter? Not having a job to fill in the first place! We know a method that can help you. Recruitment marketing isn't new. Before the internet, job fairs, newspaper ads and meeting people face-to-face (imagine that?!) were the main ways of sourcing candidates. Not anymore, anyone can post a job with a recruiter, or on Indeed for free. But that's part of the problem. There's a lot of noise to contend with; a simple job description won't suffice. By making something available to everyone, you increase the number of people doing it, and the market becomes saturated. Think about how you represent your agency — and consider this tip — start thinking like a marketer! Inbound marketing is about being different: show people what you do and how you do it, don't tell them why they need it. Who wants to be told what to do? Managing your contacts — if you have a CRM, you can manage your contacts; and it's all about giving them the best experience possible. See if you need a recruitment CRM by reading this article! Helps you start conversations — post job; source candidates; run through applications; schedule interviews — it's all a bit rigid, isn't it? Where's the flow? Inbound marketing encourages you to have conversations by any means possible. It all depends on where your clients and candidates are. Do you post conversational content? Social media posts? Nobody wants to feel like another sales stat, so make them feel special! Activate passive client/candidates — remember, one great piece of content can change the world! Well not the world, but it can change someone's mind. A client who's faded away in your CRM who's now hiring, a disconnected candidate who's been persuaded to visit your vacancies section. If you can inspire people, you can influence their decision. Much like recruiters, educational establishments like schools and universities are all looking to attract top talent. It reflects well on grade scores and pass rates if they get the best students. There are also independent organisations that offer qualifications and recognised training bodies. Learning is something a lot of people commit to, so if you market it right, you can educate! The education is nothing like it was 20 years ago, you went to your local school whether you liked it or not, higher education was populated by the wealthy and organisations like Udemy didn't exist. In 2018, people have options. Homeschooling has increased by 78% since 2013, due to children finding school life difficult or for religious reasons. It's not a statistic that schools would like, they want a safe, accepting haven for all their children. Buyer personas — if parents worry their children are being bullied at school, this would be a challenge or a pain point of that buyer persona. How can you show them that bullying isn't tolerated at your school? Content — can you educate parents and children about bullying and its implications on the lives of everyone? If people understand bullying and its effect on the wider community, you can build trust with that community and show them how to stop it. You don't have to push your organisation at every attempt. Are You Too Late to Catch a Ride? First the good news: Inbound marketing is a big wave with plenty of room. As long as the internet and social media don’t run out of room for content and websites, you can join in. And there’s still an appetite for content as long as it’s the right content. 96% of B2B buyers are seeking material with more input from industry thought leaders. But remember, inbound marketing relies on forethought, analysis and planning to get the right approach in place to maximise your return on investment. With so many social media platforms, content types, tools and inbound marketing ideas, it can feel like navigating an ocean without a compass. 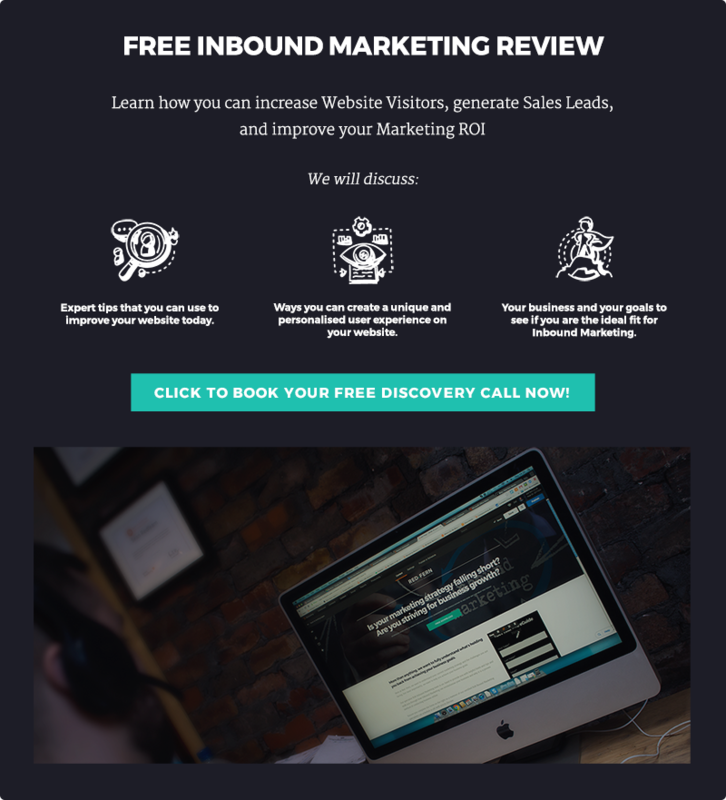 Book your inbound marketing review and see how we can direct you.